If you have a tenant who time and again fails to abide by the rules and regulations of the rental agreement then in that scenario, as a landlord, you have no choice but to send him an eviction notice, asking him to vacate your property. Tenant Eviction Forms are the Eviction Notice Forms which are send by landlords to their tenants asking them to vacate the property and also stating what actions can be taken in case the tenant doesn’t answers to the eviction notice within the mentioned time limit. This is a legal way of communicating with the tenant when the landlord is looking for eviction. 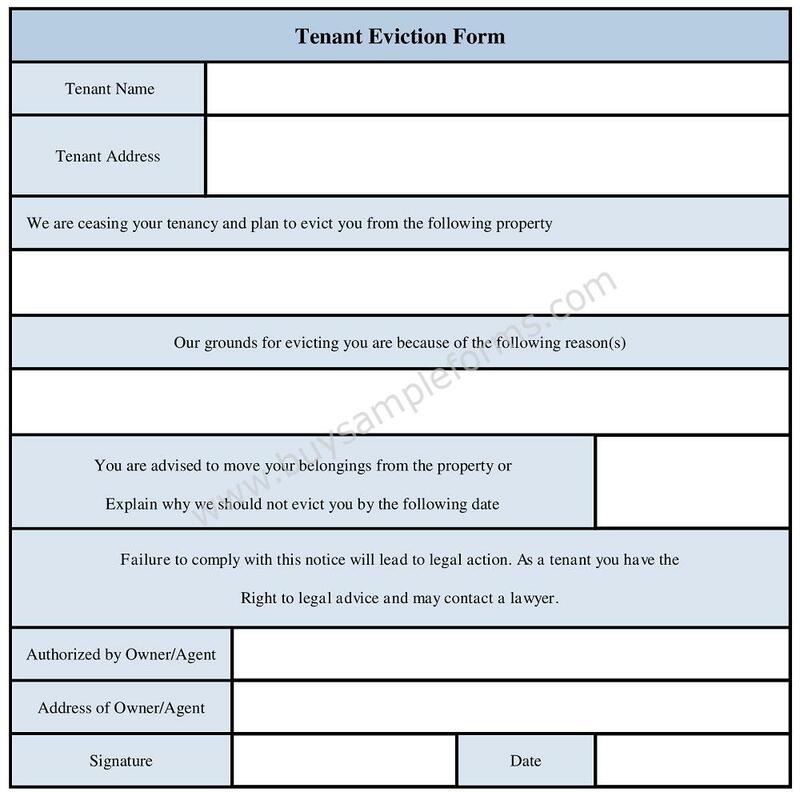 You can simply download and use Tenant Eviction Notice template which has been designed with all the important things that must be included in a fool-proof Eviction Notice form. 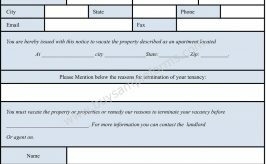 This Tenant Eviction Form format in MS Word format which makes it easy to edit, print and use as per the requirement of the landlord.